Outer view of facade of Building 10 from above Killian Court. If you are interested in the undergraduate or graduate program and you will be at MIT or in the Boston area, please visit the Department of Physics, Academic Programs in 4-315. A staff member can provide information about the undergraduate or graduate program and refer you to appropriate areas of interest including faculty offices and/or labs. The volume of requests and the wide range of faculty interests precludes a centralized process for arranging faculty appointments. However, potential students are encouraged to contact research labs and/or individual faculty directly to inquire about availability during your visit. Visitors are also encouraged to take a campus tour as provided by the Admissions Office to learn about MIT. 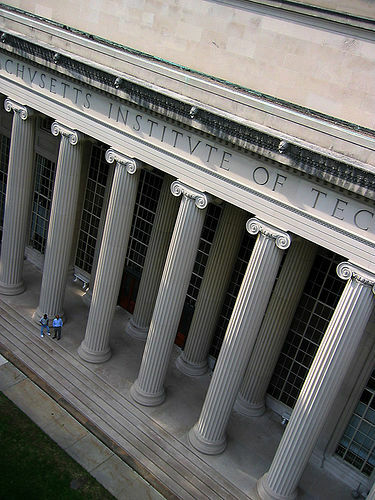 To learn more about Visiting MIT, please visit this site: http://web.mit.edu/visit/.